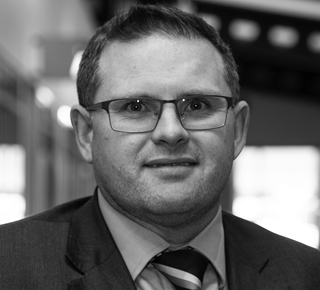 Richard has an extensive background in commercial, retail and residential property investment and development. 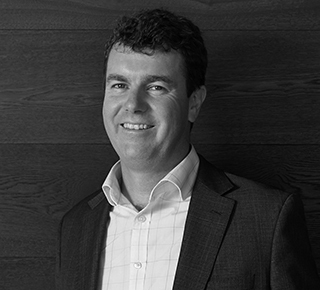 After completing a BA Commerce from the University of Sydney in 2002 he began his career in 2003 working for global listed property group Brookfield Multiplex. 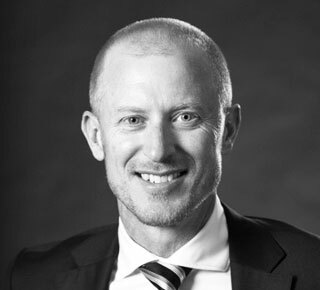 Since joining Capital Airport Group in 2009, Richard has had overall responsibility for the development of the non-aviation property business at Canberra Airport, as well as off-airport development, which includes close to 220,000m2 of office development and 65,000m2 of retail and bulky goods development as well as the Canberra City office and hotel development known as ‘Constitution Place’. Richard completed a Masters of Property Development at the University of Technology Sydney in 2008. Tara Cheyne is the Labor member for Ginninderra (covering most of Belconnen) in the ACT Legislative Assembly and Government Whip. Tara was elected to the Assembly in October 2016 aged 29 following a public service career in the federal Attorney-General’s Department and Department of Finance. Prior to being elected, Tara was active in her local community, including serving as Secretary of the Belconnen Arts Centre Board and Chair of the Belconnen Community Council. She was also well known for her popular blog In The Taratory promoting all things related to the Australian Capital Territory. Malcolm Snow is one of Australia’s leading urban designers acknowledged for the breadth of his place design and urban development experience as well as his advocacy for creating better cities. 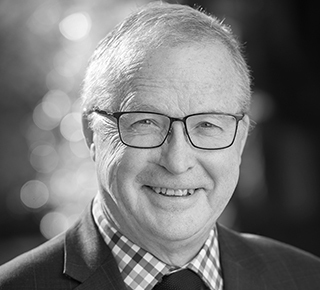 With qualifications in town planning and landscape architecture and a professional career spanning more than four decades, he has led major city revitalization programs throughout Australia, Asia and the United Kingdom both as a consultant and advisor to all spheres of government. Malcolm has held high profile executive roles in both the private and public sector as well as Board directorships. Prior to becoming CEO of the City Renewal Authority he was a Director of international consulting firm Urbis. He is the former CEO of South Bank Corporation in Brisbane and was for a decade, the Head of Design for the City of Melbourne, one of the world’s most liveable cities. Committed to raising public awareness of good design, Malcolm has been the Chair of several not-for-profit organizations including the Urban Design Alliance and the Place Leaders Association. He is a Fellow of the Australian Institute of Landscape Architects and with others, has been recipient of more than thirty-six national and professional awards for design and management excellence including on four occasions Australia’s highest urban design accolade, the Australia Award for Urban Design. As Adjunct Professor at two Australian universities (Canberra and QUT) Malcolm has contributed to the development of their post-graduate design programs and is a mentor for young planners and designers. He has authored numerous journal articles on urban design practice and is regularly invited to speak at industry conferences in Australia and internationally. Some of the major urban renewal strategies that Malcolm has either led or played a significant advisory role include Fisherman’s Bend and Docklands 2 in Melbourne, Riverbank in Adelaide, South Bank in Brisbane and City Centre Revitalization Master Plans for Brisbane and Melbourne. George Tomlins is a civil engineer with more than four decades of experience in engineering and related urban activities. He has recently led Procurement and Capital Works and been involved in new approaches to deliver schools, the expansion of the hospital, the construction of major roads and planning for enhanced security in the Territory’s electricity supply. The construction side of the organisation had about 100 people with responsibility for a capital works budget of $2 billion over four years. George was a key executive in the recovery efforts following the disastrous bushfire in Canberra 2003, and led the subsequent rebuilding of facilities. During the global financial crisis was as the Deputy Co-ordinator General of the ACT Economic Stimulus Taskforce. He chaired the Affordable Housing Taskforce for the ACT Government and represented the Territory in the High Speed Rail Study and the privatisation and development of Canberra Airport. In 2001 he was awarded a Public Service Medal. He has been a member of the ACT Procurement Board and is currently on the executive of the Australian Procurement and Construction Council. George has an honours degree in civil engineering, a master’s degree in urban and regional planning and a master’s in public administration. John has a strong background in transformational leadership, corporate governance, public sector accountability, urban and suburban development and delivery of housing solutions. He has extensive practical experience with a range of management methodologies used for cost, schedule, feasibility and status reporting. His understanding of effective corporate governance and program delivery techniques with public sector accountability, was advanced while responsible for the delivery of Defence Housing Australia’s national land acquisition, development and construction program. From 2011 until recently, John was the General Manager of the Property Provisioning Group within Defence Housing Australia. John has a passion for innovation. Prior to joining DHA John worked for Thales Australia where he was responsible for delivering a number of major, innovative, high profile, technology programs. John’s experience prior to joining Thales was predominantly in software engineering. John holds a Bachelor of Science and a Bachelor of Economics from the Australian National University. He has also completed a Graduate Diploma in Applied Finance and Investment from Securities Institute Education and holds a Half Masters in Project Management from the University of South Australia. 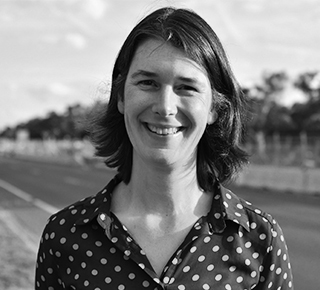 Meghan Oldfield is currently the Project Director for the implementation of Light Rail Stage 1 in Canberra, ACT. Prior to working in the ACT, has also implemented light rail projects for TriMet, the public transport agency for Portland Oregon, USA. She also served as an Executive Director at the South Australian Department of Planning, Transport and Infrastructure in Adelaide. Meghan received her Bachelor of Environmental Engineering from Michigan Technological University, USA and her Masters of Civil and Environmental Engineering through the University of Maine, USA. She is a Registered Professional Engineer in the US. Gavin brings over 24 years of extensive experience in development and project management and is the General Manager of Development for the Doma Group, leading a team that currently have a pipeline of 17 active development projects including two hotels, two office buildings and numerous mixed use and residential development projects both here in Canberra and interstate. His depth of experience covers a broad base from site identification, acquisition, planning and procurement to design management, sales and marketing, feasibility analysis and project delivery. In the domain of mixed use development, in Canberra alone – Gavin has been involved in the inception of three Doma Group projects at the Kingston Foreshore, Doma Group’s Governor Place joint venture project in Barton, and the Dickson Interchange project comprising over 200 apartments and a 13,000m² pre-commitment for ACT government office. He also recently lead the successful bid to redevelop the Yarralumla Brickworks. Gavin has been the Project Director on Doma Groups successful delivery of both new ATO developments in Albury and Gosford, and delivered the prestigious National Archives Preservation Facility in Mitchell ACT for the Australian Government to safeguard the nation’s cultural heritage for posterity. In his role as Project Director, Gavin is accustomed to ensuring stakeholder requirements and compliance with local and state government bodies. He has been Project Director on Doma Group’s last four Commonwealth pre-commitment projects. In doing so he has demonstrated that he understands project matters at all levels and provide compelling bids in competitive situations. More recently he has led the development proposals which saw Doma Group secure 18 Honeysuckle Drive, 21 Honeysuckle Drive and 42 Honeysuckle Drive in Newcastle from the State Government in competitive tenders. Gavin is outcomes focused, proactive and a collaborator. He epitomises the best qualities Doma Group brings to a development partnership with stakeholders. It is this clarity of purpose amongst Doma Group’s Development senior leadership team that makes Doma Group developments successful, expedient and elegant and one of Canberra’s oldest and most successful developers. 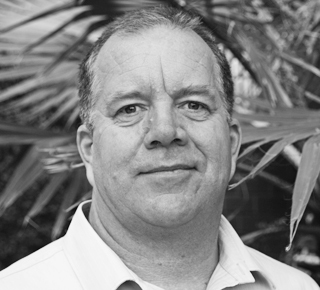 Adrian Piani is a Fellow of Engineers Australia and is Chair of the Environmental College where he contributes to the strategic future of the environmental engineering profession. He is also the Chair of the Canberra Business Chamber Planning and Infrastructure Taskforce. Adrian is a Canberra local and is passionate about its future. He is the leader of AECOM’s Canberra office. Harriet Elvin is Chief Executive Officer of the Cultural Facilities Corporation, a statutory enterprise of the ACT Government that runs major cultural venues in Canberra, including the Canberra Theatre Centre, the Canberra Museum and Gallery, and three historic places: Lanyon, Calthorpes’ House and Mugga-Mugga. 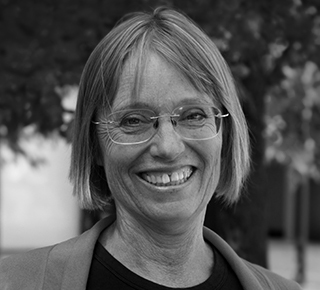 In this role, Harriet has led a number of major cultural infrastructure projects including the completion and commissioning of The Playhouse and of the Canberra Museum and Gallery; the implementation of the Civic Library and Link project; and the delivery of a major conservation project at the three historic places. A key focus of her current work is on planning towards a major new theatre for the Canberra region. Harriet completed her first degree at Christ’s College, Cambridge, reading Classics and Law. Her further studies at the Australian National University led to postgraduate qualifications in International Law and Art History, together with a Master of Business Administration. Harriet is a Fellow of the Australian Institute of Company Directors, and a Fellow of the Institute of Managers and Leaders, Australia and New Zealand. She is a Telstra ACT Businesswoman of the Year and was awarded a Centenary Medal for service to Australian society in business leadership. In 2017 Harriet was inducted into the ANU College of Business and Economics Alumni Hall of Fame, and she has since become a member of the External Advisory Board of the College. 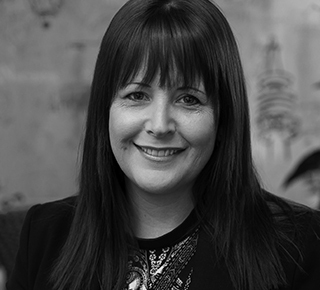 Her professional interests include exploring how business management techniques can be applied to arts organisations, and how the arts sector can offer valuable lessons for the corporate world. 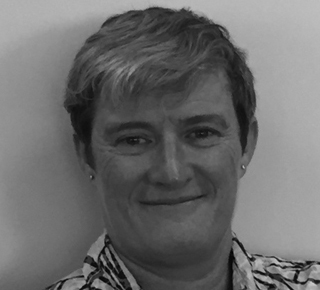 Adina Cirson is the ACT Executive Director and has extensive experience working in public policy and communications in Canberra for nearly 15 years. Adina worked federally for Senator Kate Lundy for four years before her move to the ACT Government in 2006, working for Chief Minister Jon Stanhope on affordable housing, climate change and water security policy. Following this role, Adina was senior communications consultant to ACTEW’s Water Security Major Projects, with a focus on community engagement and stakeholder management. Adina commenced work with ACT Chief Minister Katy Gallagher as her Director of Communications in 2011, and in 2014 was appointed Chief of Staff to the Minister for Planning, Land Management and Urban Renewal Mick Gentleman. Adina holds a Bachelor of Communications (Public Relations) Degree and is currently studying a Master of Juris Doctor (Postgraduate Law) at the University of Canberra. 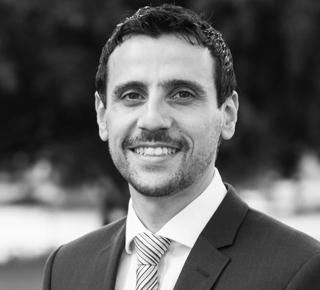 As an experienced development, construction, and property lawyer, Ben provides specialist advice to clients during the full life-cycle of a project, from structuring to completion. He has spent several years working with government, university, and private sector clients addressing emerging challenges or requiring innovative solutions to complex projects. Specifically, he has restructured and documented major precinct developments for the University of Wollongong, the Australian National University, the University of Canberra, and Ku-ring-gai. He also specialises in construction, property, planning, and environmental law and drafting bespoke documentation. Ben advised the University of Wollongong (UOW) in the delivery of its $500 million Health and Wellness Precinct, comprising aged care, retirement living, child care, community facilities, structured car park, office accommodation, and potential hotel. The scope of work included structuring, tendering, and documenting the transaction. He also advised the Department of Foreign Affairs and Trade (DFAT) in the delivery of its $200 million ANGAU Hospital redevelopment in Lae, Papua New Guinea. The scope of work included preparing RFT documentation and advising on and preparing a Contract Administrator Agreement and a Managing Contractor Agreement. 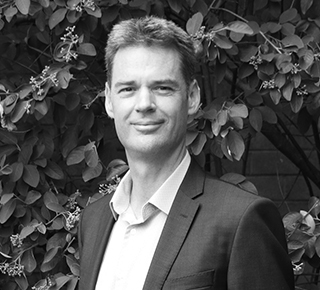 Rob Henry is the immediate-past ACT Chapter President of the Australian Institute of Architects and the immediate-past National President of the Emerging Architects and Graduates Network. He was a member of the inaugural National Gender Equity committee and the National Education committee. Rob has been a passionate leader and a strong advocator for high quality design outcomes. His work with the Design Canberra Festival over the last four years, including the organisation of numerous building tours, open houses, and public speaker forums, has generated a greater understanding of the value of design by the local community. His advocacy work with local government has lead to the review of housing affordability and the development of demonstration projects. Rob's dedication to education is evident in his ongoing involvement at the University of Canberra as a guest lecturer and tutor in design and sustainability. Rob has a small residential architecture practice based in the ACT. His work has been awarded at the ACT Chapter Architecture Awards, including a 2016 Award for the Clerestory House addition, and the 2015 Malcolm Moir and Heather Sutherland Award for the Box House. 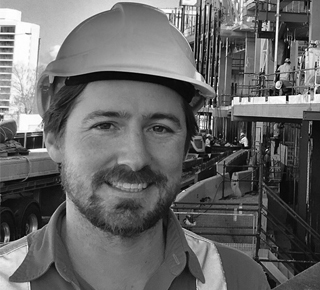 Rob was awarded the 2014 ACT Emerging Architect of the Year Prize. Rob was the runner-up of the 2014 NEAT Housing competition for his entry “subMERGED”. 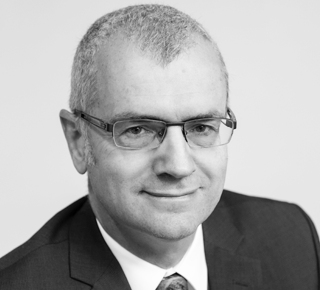 Michael was appointed Director of Regional Development Australia for the ACT in mid-July 2018. He has previously held positions with the Australian Airports Association; and senior positions with Federal and State Governments An economist by training, he has worked in the Not For Profit sector and as a management consultant for much of the last decade. He has wide experience international investment attraction in high technology, agriculture and services. A recognized innovator, in conceiving and delivering business engagement approaches, Michael has received significant recognition and awards for his achievements in the skills development, innovation and policy-change spheres. Dr Paul Sernia is the Chief Product Officer and a co-Founder of Tritium – a designer and manufacturer of charging stations for electric vehicles. He has over 15 years’ experience working with technology focused businesses bringing new innovations to global markets and his professional background is in business and power electronics engineering. He is passionate about the future of electrified transportation and loves driving his electric car every day. 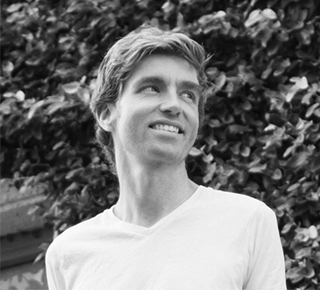 Noam Maitless is Design Director in Architecture and Urban Design at GDHWoodhead. 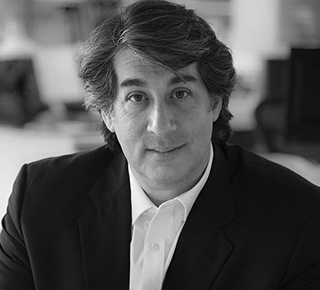 An accomplished architect and urbanist, Noam has delivered award-winning work in complex mixed-use precincts, sports and entertainment districts, climate adaptation planning, and in aerotropolis master planning. Focused on matching inspired vision to clear-sighted implementation, recent projects include the redevelopment of historic downtown Las Vegas, Nevada; the aerotropolis master plan for Ekurhuleni, South Africa; and currently on the boards, the future-focused master plan for the Australian War Memorial. Noteworthy recent projects have focused on urban redevelopment and applying economic strategy to complex land use planning. In downtown Las Vegas, Noam led a consortium working with the city’s planning department and local community, committing to revitalize Downtown Las Vegas through innovative and performance-driven planning and design tools. The project clustered catalytic developments and public realm improvement around major transit hubs, delivering a vibrant, mixed-use, sustainable urban environment. The project was recognised by the American Planning Association for Outstanding Planning. In South Africa, Noam led an international team in reimagining the economic potential of the OR Tambo International Airport, outside of Johannesburg. The Ekurhuleni Aerotropolis Master Plan was a comprehensive endeavour, coordinating urban and economic development across a 1,900 square kilometre region to enable South Africa to become a larger player in the global economyand spur stable job growth in the region over the next 15-20 years. Regional planning also scaled down to the urban design of key precincts, place-branding, and pop-up, youth-oriented eventscapes. The project garnered two planning awards from the South African Planning Institute. At the War Memorial, one of the most iconic and visited institutions in the country, Noam and his team have been tasked to craft a flexible long-range master plan to extend the vision and direct the growth of the Memorial for the next 40-50 years. Noam has taught design in Los Angeles and San Francisco. He has written about urban design and mobility for academic and trade publications, and has written extensively about architecture and design for Esquire magazine. Noam has served as Chair of the Pasadena Design Commission, and remains active in shaping the future of design education as a member of multiple alumni councils. He holds a Master of Architecture degree from Harvard University’s Graduate School of Design. He holds a Master’s degree in Modern Thought and Literature and a Bachelor’s degree, with Honours, in English Literature from Stanford University. Recently moved to Australia, he lives in Canberra with his wife and three children, who are lobbying hard for a dog. Or a cat. Or anything really. Edwin Michell is an aerospace engineer based in Bungendore near Canberra, and is the owner of an independent engineering consultancy, Stormcloud Engineering. He has over ten years’ experience in the construction and aerospace industries, having worked on a number of major civil projects in the ACT and surrounding areas. Working with regional councils across Australia, Edwin has been promoting a strategy of upgrading existing and closed railways to modern standards suitable for medium-speed passenger rail and intermodal freight. He has undertaken several concept studies on this topic, commissioned by local governments, community groups and private citizens in the ACT, New South Wales and South Australia. Edwin believes that the low-cost, incremental adoption of faster rail services is the solution to achieving better rail transportation in all regions of Australia. Bob Sharon is a passionate "Disruptor" with over 30 years of commercial experience in the I.T., data centres, sustainability, smart buildings and the IoT spaces. He is a recognized industry advisor and expert in IoT, Cyber Secure IoT, energy and infrastructure efficiency and integration. He is committed to innovation in the delivery of smart buildings, cities and facilities leveraging new financial models, technologies, the cloud and the IoT. He is the Chief Innovation Officer for Blue IoT & iHome Energy, and a member of the Executive Council of the IoTAA. 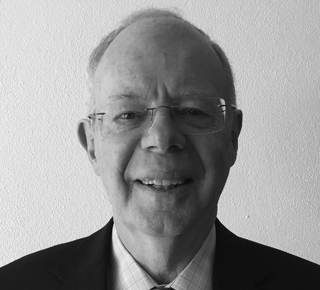 Bob is a NABERS assessor who has been privileged to have conducted the world's first NABERS (National Australian Built Environment Rating System) energy for Data Centre Infrastructure rating back in 2013 which was for Fujitsu. Bob was also the first to supply a firewall in Australia which was to the Australian government back in 1994, Checkpoint Firewall 1 ver 1.0. Bob has been speaking at conferences for the last 10 years all over Australia, Singapore, Malaysia, and China. 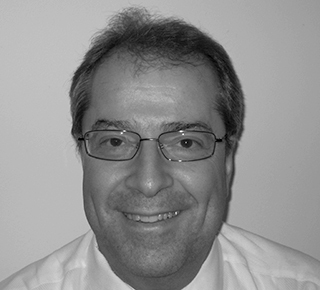 He is an eminently qualified data centre judge over the past 5 years judging in APAC, China and India. He was also a judge on the construction awards panel for the recently held Sydney Build 2018. 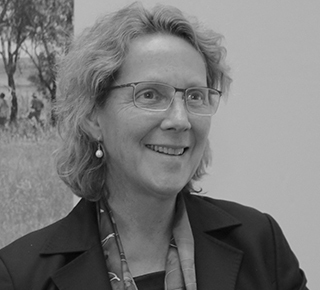 Professor Barbara Norman is the Foundation Chair of Urban and Regional Planning and Director of Canberra Urban and Regional Futures (CURF) at the University of Canberra. Professor Norman is Chair of the ACT Climate Change Council, an Honorary Professor at the University of Warwick and a Visiting Fellow at the Australian National University. 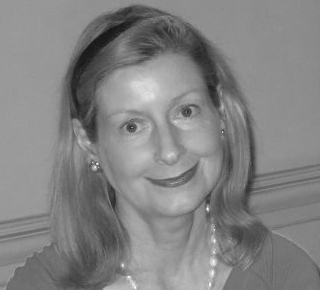 Barbara is a Life Fellow and past national president of the Planning Institute of Australia and a Life Honorary Fellow of the Royal Town Planning Institute (UK). Barbara’s qualifications include a Bachelor of Town & Regional Planning, Masters of Environmental Law and a PhD on sustainable coastal planning. She also has a substantial professional background having worked at all levels of government and run her own practice. Her current research and teaching interests include sustainable cities and regions, coastal planning, climate change adaptation and urban governance. Barbara was a contributing author to IPCC 5 WG 2 report on Impacts 2014. Professor Norman advises the public and private sector in Australia and has strong international linkages within Asia, Europe and the United States. Barbara was awarded an Australian Centenary Medal for her contribution to the community through urban and regional planning. 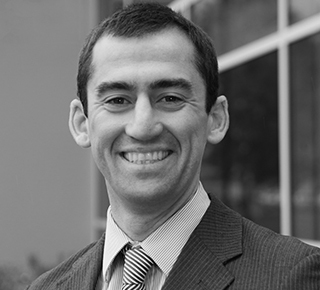 Jonathan is a Partner in KPMG’s Infrastructure and Projects Group (IPG) and leads the team in Canberra. He provides strategic, commercial and financial advice on major infrastructure projects and complex service procurements. He is passionate about helping Government deliver infrastructure and services more efficiently. 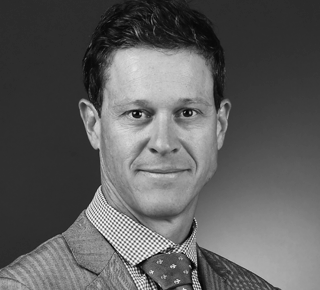 He works with his clients to enhance competition throughout the procurement lifecycle and develops commercial mechanisms that hold the provider accountable for meeting government’s requirements and that deliver government and the Australian public value for money. • the Department of Defence procure on base living-in accommodation for members of the Australian Defence Force. Outside of work Jonathan enjoys spending time with his family, travelling, photography and golf. In his current role, Justin is responsible for delivering the ACT Healthy Waterways Project representing a total investment of $93.5 million in water quality infrastructure and improved water management across the ACT region. Justin has extensive experience in natural resource planning (with a primary focus on water) and administration across ACT and Commonwealth government. Gay Williamson has held senior design positions in Local, State and Commonwealth Governments and has interspersed these sessions of public service working in private practice and teaching Landscape and Urban Design at Canberra University. With a professional base in Landscape Architecture, Gay is concerned that planning, design and infrastructure solutions are systemic, concentrating on the relationships between elements, natural social and cultural processes. As time and the construct of inter-generational equity are critical, Gay emphasises the development of value based frameworks that will guide long term decision making. 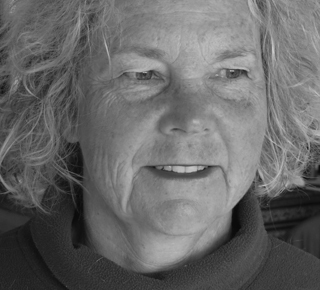 Gay is pursuing her own research and opportunities for consulting, she is also the current President of the ACT Chapter of the Australian Institute of Landscape Architects. 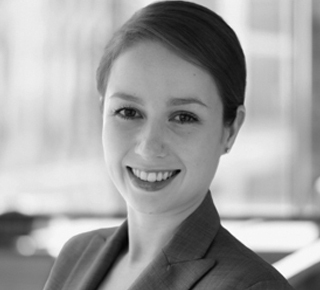 Rachel is a property, development and infrastructure lawyer with over 10 years' experience. She prides herself on being a dedicated adviser to my clients, bringing a holistic, commercial approach to projects of all sizes. She advises a broad range of clients, focussing on complex, large-scale transactions, including the acquisition, development, sale, and leasing of a range of asset classes. She also advises on the property aspects of major infrastructure projects. Rachel is passionate about urban renewal, working closely with government and the private sector to deliver sustainable communities with strong social interfaces (particularly Social Housing). Some of her career highlights include Acting for UrbanGrowth Development Corporation and Landcom on various large scale urban renewal projects including White Bay Power Station, Green Square Stage 4, South West Portfolio: Edmondson Park, Menangle Park, and Spring Farm, opening up much needed housing supply in greater Sydney. As well as acting for the NSW Government on property aspects of major infrastructure projects including the Northern Beaches Hospital PPP and New Grafton Correctional Centre, as well as the record-breaking refinancing of Port Botany, Port Kembla and Port of Newcastle. Karen is the Director of Engagement and Executive Support for the Environment, Planning and Sustainable Development Directorate in the ACT Government. The ACT Government has committed to finding ways to engage more effectively with the Canberra community and the Directorate is at the forefront in developing fit for purpose engagements. 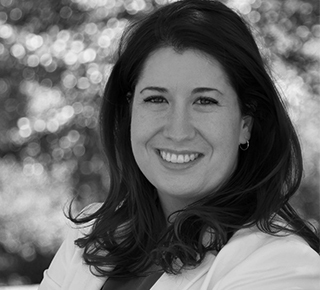 Karen started working in the area of strategic communications in 2013 and brings a fresh perspective and approach to traditional communications methods and moving the Directorate into the digital and community engagement space. She was responsible for leading the community engagement on the Red Hill Public Housing Precinct renewal. Current projects within EPSDD’s community engagement space include the ACT Planning Strategy Refresh, Towards a New Housing Strategy, the Housing Choices Collaboration Hub and the ACT’s Climate Strategy towards a Zero Net Emissions Territory.